The people we hire to work for us are motivated, eager to learn, and reliable. We are less concerned with your past experience are and more concerned with how willing you are to learn, seek out new ideas, and that you will complete your work on time! 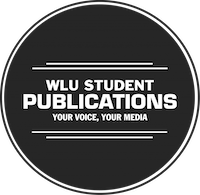 Student Publications volunteers believe in the value of free media, and the power of professional journalism; they believe in our organizationâ€™s Mission, Vision and Values. This translates into everything that we do, from the objectivity of our writing to the professionalism of our distribution service. In order to provide diverse content, diversity among our volunteers is absolutely essential. We pride ourselves in hiring students from across the spectrum of race, religion, gender, ability, and sexual orientation. This same principle applies to academic programs as well – you do not have to be a communications or journalism student to work for us! We have students from every faculty working in the many jobs that we offer. If you have questions or concerns about what we look for in our volunteers, please contact president@wlusp.com.